What fun it would be to roam around a royal state of India for a full day? Our package is dedicated to those who have ample time in hand to enjoy a trip within the state. This package has been designed keeping in mind the precise requirements of our clients looking forward to spend an entire day in the ancient city. The service has been designed to suit a number of local tour purposes including sightseeing, attending meetings, shopping, seminars, visiting hospitals, and a lot more. If you have less time in hand, our half day hire service will help you enjoy the tour. The service has been designed in a fashion to cater to local city tour within a specified time span. Some of the most popular services under this category include Airport Transfer in Rajasthan, Car rental service for Marriage, party and event, Corporate Cab Rental in Rajasthan, Railway Transfer, visiting hospitals and a lot more. This is a dedicated to and fro taxi facility offered by our team to Rajasthan visitors. It is available for various destinations from Rajasthan. 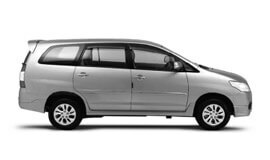 Our one way drop hire service will help you enjoy premium quality taxi service to your desired destinations starting from Rajasthan. If visiting multiple destinations from Rajasthan is on your agenda, we will help you do just that without having to face much hassle. The multi city tours have been planned for a fixed period time. We guarantee the best car rental services in Rajasthan at highly affordable prices. Rajasthan has a tropical desert climate. The state is extremely cold during October to February. From March to September, the region scorches under sun. Nights in summers are cooler. January is the coldest month in Rajasthan. The state of Rajasthan receives most of its rainfall during July and August. As per official census report for the year 2011, Rajasthan District has a population of 68,621,012 residents. The economy of Rajasthan is primarily agricultural and pastoral. Rajasthan is rated among the largest producers of edible oils across the country. It is the second largest producer of oilseeds and the largest wool-producing state in India. Other major sources of economy in the state include marble quarry in Kishangarh Ajmer, mineral industries, agriculture industries, textiles, and polyester fibre. The state of Rajasthan holds immense wealth of tourist destinations for domestic and international tourists. Known widely for its natural beauty and golden desert, the state also offers you a huge number of historic forts and palaces, art and culture opportunities. Some of the best places to visit in Rajasthan include romantic lakes of Udaipur, Jaisalmer desert and sand dunes, Mount Abu Jain temples, Pushkar, Umaid Bhavan Palace in Jodhpur, The Palace on Wheels, the Royal Rajasthan on Wheels, Albert Hall Museum in Jaipur, Amber Fort, Maota Lake, The City Palace, Galta Temple, Jaipur, the shrine of Galta (the Monkey Temple), Sisodia Rani-ka Bagh, Hawa Mahal, Jantar Mantar, Kumbhalgarh Fort, Mehrangarh Fort, Ranthambore National Park, Sariska National Park, Bandeshwar Temple, Rani Satiji Temple, and many more.